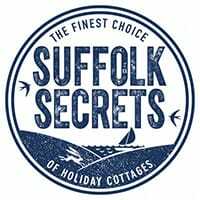 Suffolk Secrets is the area’s leading holiday lettings agency and offers a wonderful choice of 500+ Visit England inspected cottages in Woodbridge, Aldeburgh, Orford, Southwold and throughout Suffolk. Choose from pet-friendly cottages, luxury gold award apartments, family- friendly properties and romantic hideaways for two. Property management service offered to holiday homeowners. Offices currently in Southwold and Aldeburgh. New Woodbridge office coming soon.